Let me start by saying that ... I love Korean food! 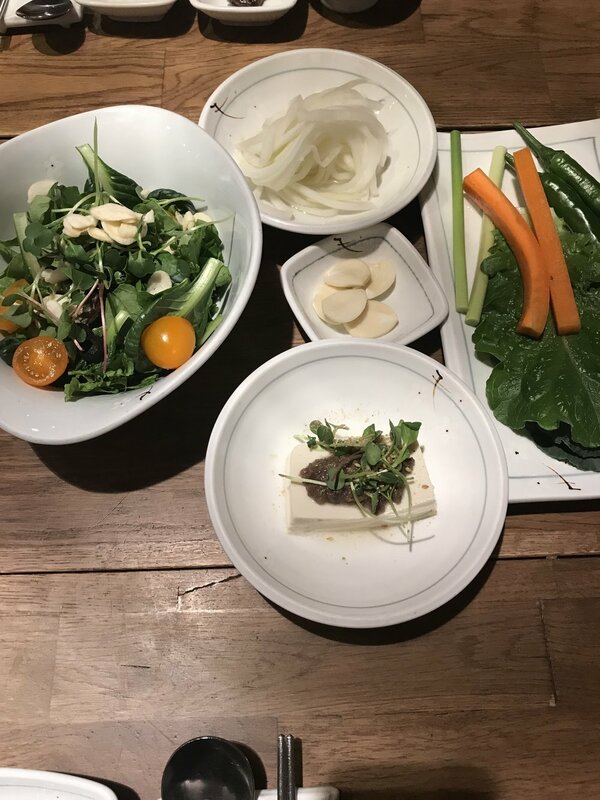 In this post I will share with you some of the best meals of my six days in Seoul, South Korea. This week I will share all about my itinerary as well...but for now, let's start with what, for me, is one of the best parts of travelling: eating! Bingsu is literally translated as ice water or shaved ice, but it does not taste like ice/water at all - it was super creamy. The one I ate had mangoes and it was delicious. My Korean friend recommended Artiseè bakery for Bingsu. Artiseè is everywhere - we went to the one in the basement of Samsung building. If you have one to three days in Seoul I would definitely recommend walking around Ikseon-Dong. It was one the nicest areas I visited - a lot of new bars/restaurants are opening and lots of them have authentic Korean food - we tried so many different things. You can also find a lot of small places with street food that are simply delicious! The coffee shops are also super authentic - they kept the building structures, or traditional Korean houses structure, and turned into something a bit more modern. One of my favorite places in the ENTIRE trip was Seoul Coffee - built in a traditional Korean house. The designer and architect of this coffee shop deserve a prize, seriously. It is incredible - all the details and all the space that they were able to use and adapt ... it is beautiful. I totally recommend Seoul Coffee. We had the black bean tiramisu, the butter bread (so.much.butter) and a rice tea (or tea with rice!). All so different and so tasty. 3. Koreans love coffee shops! I wanted to take pictures of all coffee shops I saw... I think there is one in every corner in Seoul - and I was super happy! I could always grab a ice latte to-go. I asked my friend why there are so many, and she told me that Koreans usually live with their parents so when they want to hang out with friends they usually go to coffee shops / restaurants. Ice-Cream (or Emoji?) from Sobok: Sobok uses a traditional rice syrup to add sweetness to the ice-cream and the little truffle on the side is actually an injeolmi ball, a Korean rice cake filled with brown rice ice cream and rolled in bean powder. It is super yummy and definitely not your traditional soft-serve cone. Coffee from DDP's coffee shop: one of the coolest coffee shops I have ever seen... I guess all the coolest coffee shops I've seen in my life were in Seoul! =) Check photos below. The best way to get to know a foreign country is.... by having a friend who is from there! And my lovely friend, Seongmin, took me to a night in Gangnam that I won't forget: we ate Korean bbq, fried chicken and beer (super typical there) at Modern Chicken, and then we ended up going to a k-pop nightclub...what a perfect night! In Gangnam (style) you can find many bars and restaurants. 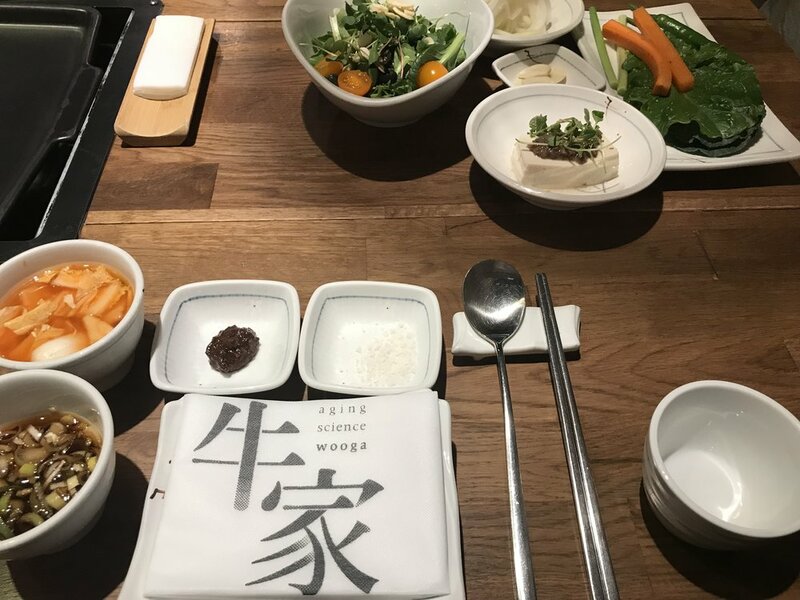 Do you have any good restaurant recommendations in Seoul? Share in the comments. I can't wait to go back to Seoul...!